“Sultana” at Helena, Arkansas, just prior to its explosion on April 27, 1865. On 27 April 1865 the steamboat Sultana carrying recently released Union army prisoners of war exploded on the Mississippi River resulting in 1800 deaths. 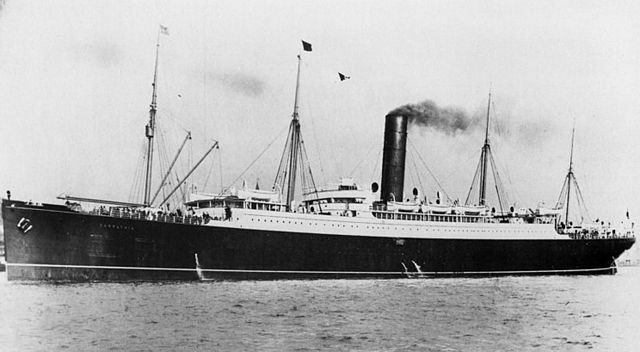 It is regarded as one of the worst maritime disasters in U.S. history. The steamboat was already in dire need of repairs before it departed on 24 April from Vicksberg, Mississippi. Sultana’s captain and part owner, J. Cass Mason, was told a proper repair would take days. However the War Department was paying $5 for every enlisted man and $10 for each officer. Not wanting to miss a big payday, Mason ordered temporary patches and filled the steamboat with as many officers and enlisted that he could. Thanks to a corrupt Union Army quartermaster, 2,400 enlisted and officers were steered to a ship that was rated to carry only 376. Its decks began to sag and needed reinforcement before it departed for Cairo, Illinois its final destination. After unloading cargo in Memphis, Tennessee the Sultana appeared top heavy. The boilers were forced to work hard against the current and swollen Mississippi River. Sometime around 0200 on 27 April three boilers exploded instantly killing many. The explosion caused massive holes and flaming debris that included hot coal that came raining down back on the ship. The Sultana erupted into flames. Frantic Union Army soldiers jumped overboard but many were weakened by being prisoners of war. 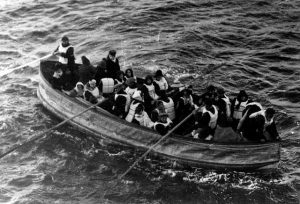 Some clung to debris, and so many clamored to get on a lifeboat after it was lowered that it sank. Bodies would be found far down river and in trees. Sadly other historical events, such as the surrender of Confederate General Joseph Johnston and the capture of John Wilkes Booth pushed this news story aside. It never got the attention it should have. 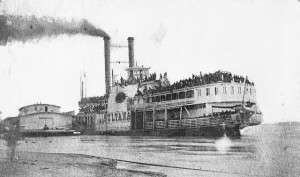 While overcrowding and corruption are considered the reasons for the disaster, some claim sabotage by Confederate agents using a coal torpedo. Some evidence, such as testimony of eyewitnesses, suggests its possibility. However more recent examinations such as done on History Detectives shows it more likely a disaster caused by overloading a ship that was already in dire need of repair. 1. Christopher Klein, The Forgotten History of America’s Titanic 150 Years Ago,History.com,27 April 2015. 3. Stephen Ambrose, Remembering Sultana, National Geographic, NationalGeographic.com, 1 May 2001. Confusion reigned in the United States owing to news reports that later were found inaccurate. Some reports said Titanic was okay, others not. It was attributed, in part, to mashed up wireless messages that got reported widely in the press making it sound less of a tragic event than it really was. The New York Times was one of the papers that got it mostly right. 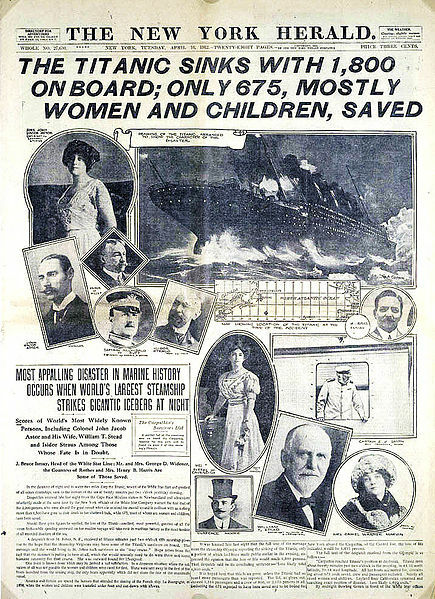 Final confirmation of what happened would occur when Carpathia arrived bearing the survivors and the only remaining parts of Titanic to survive–the lifeboats. The 100th anniversary has come and gone. And yet people still flock to Titanic Belfast and other Titanic connected sites and exhibits. The question I posed in 2012 still holds true today: Why Does Titanic Still Grab Us? I said back then that a National Geographic documentary provided a clue and that is images linger long after leaving. And with Titanic its images remain with us. There are a lot to choose from: photos of the ship, the crew, the passengers, stories of their lives, the names of the band that played on that fateful night. The list goes on. The image of the grand ship stays with us because it has so many stories to tell and those stories have images that linger. 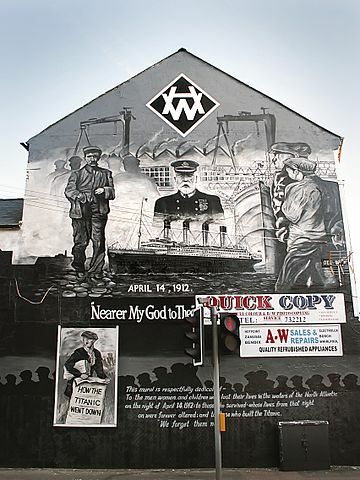 There have been numerous books on Titanic to keep those images such as Walter Lord’s A Night To Remember (and later its sequel The Night Lives On) that connect us to what happened in 1912. And the movies that follow bring it even more alive in the big screen. Add to it the Titanic memorials and exhibits all over the world. Some ask why this ship is remembered while other maritime disasters with great loss of lift isn’t. The images linger. Some images provoke disagreement. To salvage or not or was Captain Stanley Lord a villain? The images of the wreck itself are testament to the final outcome. It lies, broken in two, two miles below the surface of the ocean. And it is slowly being claimed by the sea. The artifacts brought up by the various salvage expeditions will soon be all the remains of that once great ship. At Titanic memorials on land and sea, people will remember those who died on Titanic. We know it ought not to have happened. So many what-ifs could have changed the outcome but they all added up to the same deadly outcome for over 1500 people. 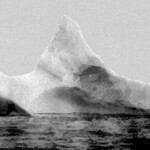 It has never really crossed my mind to consider how old the iceberg Titanic hit. Possibly as part of an intellectual exercise and a desire to alleviate boredom, scientists at Sheffield University crosschecked data on ocean currents and witness descriptions from 1912. 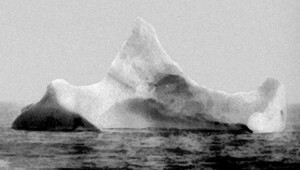 And now they believe it was snow that formed glaciers 100,000 years ago in southwest Greenland that ended up being the infamous iceberg that collided with Titanic in 1912. And it originally was 100ft above the water and possibly 1,700ft long when first formed. By the time it hit Titanic it had shrunk a bit in size but still quite large. Wilhelm Gustloff in Danzig, September 1939. 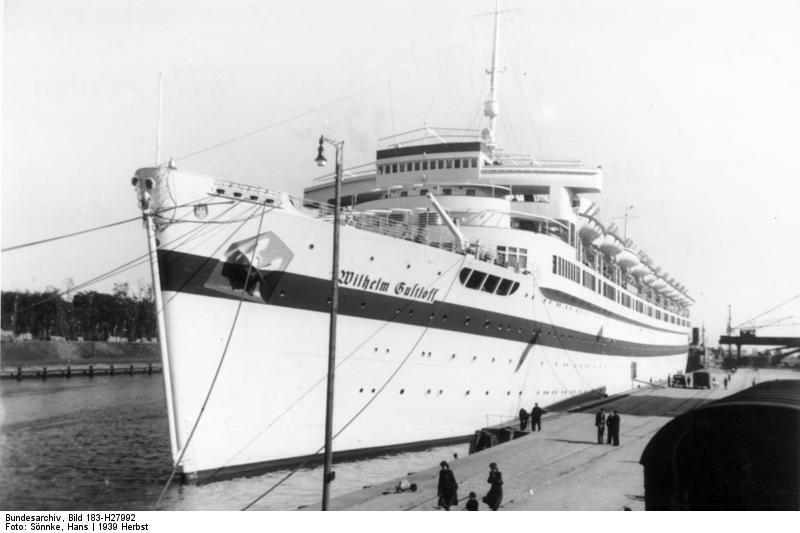 The German military transport ship Wilhelm Gustloff carrying German civilians with their families along with Nazi government and military personnel, was sunk by a Soviet submarine on 30 Jan 1945 after it had departed Gotenhafen (Gdynia) in the Baltic Sea. The loss of life is estimated to be around 9,400, the largest loss of life to date in a maritime tragedy. Originally designed as a cruise ship for the Nazi Strength Through Joy (Kraft durch Freude) organization, it was requisitioned by the German navy (Kriegsmarine) in 1939. She served as a hospital ship from 1939-1940. She then served as a floating barracks before pulled into use as an evacuation vessel due to the Red Army advances in Poland. 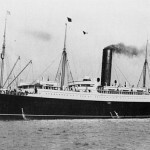 The ship early on was being escorted two torpedo boats and another liner, the Hansa. Mechanical problems beset that liner and one of the torpedo boats so they did not continue the journey. Though fitted out with anti-aircraft guns, they were inoperable due to freezing conditions. The accompanying torpedo boat was not much help either as its submarine sensor had frozen over. 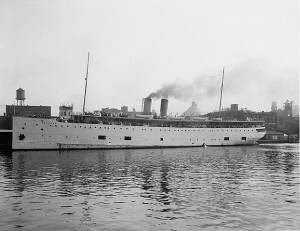 The Gustloff’s captain, Friedrich Petersen was advised to stick to shallow water and run without lights on but opted to head into deeper water. A mysterious message–possibly sent by either Soviet agents or the Soviet submarine–said a German minesweeper convoy was nearby so Peterson turned on the navigation lights making the ship visible in the night. It was spotted by Soviet submarine S-13 commanded by Captain Alexander Marinesko who fired torpedoes that sank the Gustloff. The initial deaths were from the torpedoes themselves and later from the extremely cold sea (estimated to be between 0-14F) that had ice floes on it. In less than forty minutes, the ship was lying on its side and sank bow-first in 144 feet of water. German forces rescued 1,252. The German Navy did convene a board of inquiry and Lieutenant Commander Wilhelm Zahn, the commander of the U-Boat unit and a well regarded submariner, was asked to justify his actions. He blamed both Croatian crew members and the ship captain for what happened. However the war ended before any formal resolution of the matter occurred. The Soviet submariner captain Marinesko though fared worse. He was already facing a court martial for his excessive drinking and not considered a suitable person to be a hero and got the lessor award Order of the Red Banner. He was demoted and dishonorably discharged in October 1945 though he was considered an excellent submariner and commander. Stalin’s death and other things led to re-evaluations of many officers denied awards and promotions got him reinstated as a captain third class (a rank that equals a major in the Soviet army) and a full pension. In 1963 just three weeks prior to his death he was given the traditional ceremony due to a captain upon a successful return from a mission. He was awarded posthumously Hero of the Soviet Union in 1990 by Mikhail Gorbachev. The wreck lies in Polish waters and is classified as war grave. To prevent scavengers and treasure hunters diving to it, it is forbidden to dive within 1,600 feet of the wreck radius. The question many ask is why this has gotten so little notice. The simple and most compelling answers are that it took place during World War II and the casualties were Germans fleeing home to escape being captured by the Russians. There is not a lot of sympathy for Germans after the war and especially when the horrors of the holocaust were revealed. 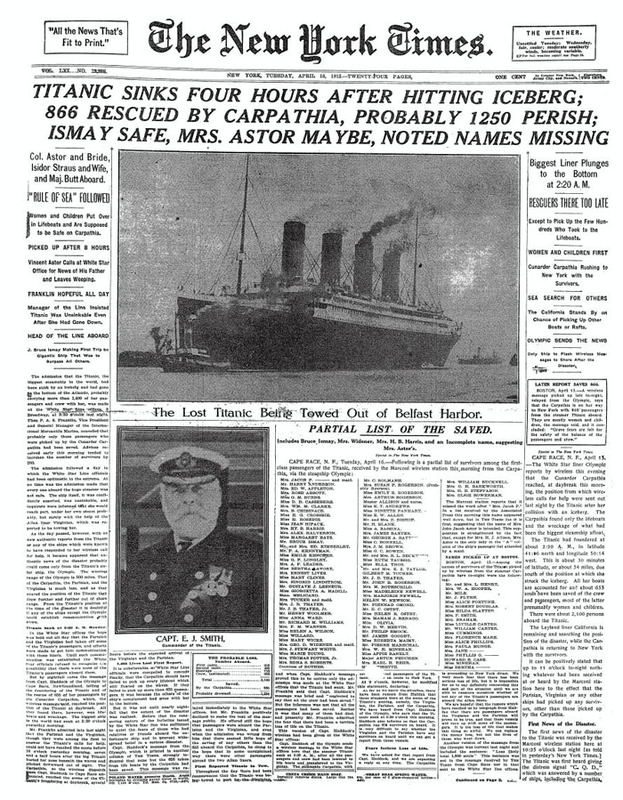 So despite the large loss of life, the sinking has become a footnote and sometimes not even referenced at all.